Aston Martin Lagonda Limited was founded in 1913 by Lionel Martin and Robert Bramford. The name Aston Martin originates from Martin himself, who used to race specials at Aston Hill near Aston Clinton in the Vale of Aylesbury in Buckinghamshire, UK. At that time, Martin had no idea that the name Aston Martin would become the name of one of the most well-known and widely desired luxury sports cars in the world. In 1947, there was a change of ownership that rescued the company and started one of the most iconic series of cars ever build. The DB brand originates from the then new owners, David Brown Engineering Limited, managed by Sir David Brown. A year later, in 1948, the new Aston Martin team launched the 2-Litre Sports DB1. Only 15 were produced between 1948 and 1950 and well-preserved models are presently valued at over a £1 million. The original concept of the DB1 dated back to an Aston Martin prototype called the Atom. The Atom was developed during World War II, with a tube-frame chassis and 2.0 L four-cylinder engine. Incredibly, in 1948 the prototype was entered into the Spa 24 Hours, an endurance race held in Belgium at the Circuit de Spa-Francorchamps and won. Under David Brown's direction, Aston Martin then developed a 2-seat roadster with a more conventional body for the 1948 London Motor Show. This new luxury sports car was originally called the 2-Litre Sports, but is widely now known as the DB1. In 1948, SMITHS Instruments was widely regarded as the largest producer of motor car instruments in Europe. It was only natural that an iconic new style of British luxury sports car would use gauges designed and manufactured in the UK. 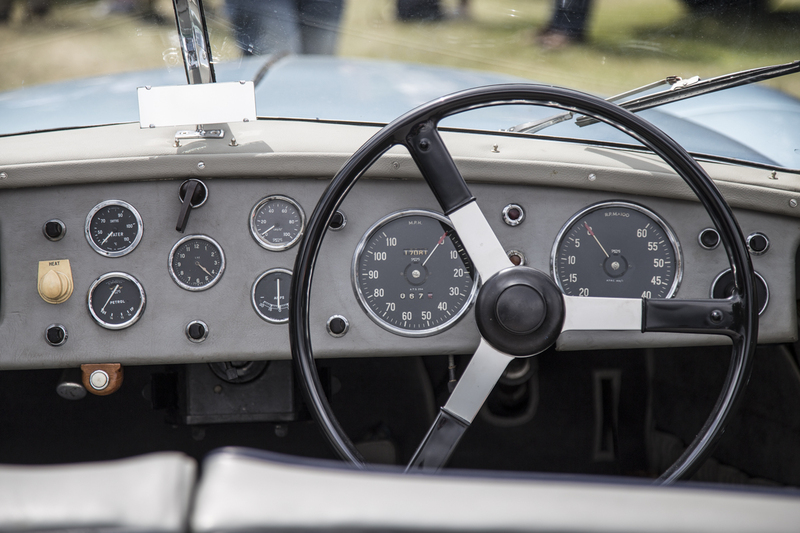 Mounted behind the steering wheel were a Speedometer and Tachometer. 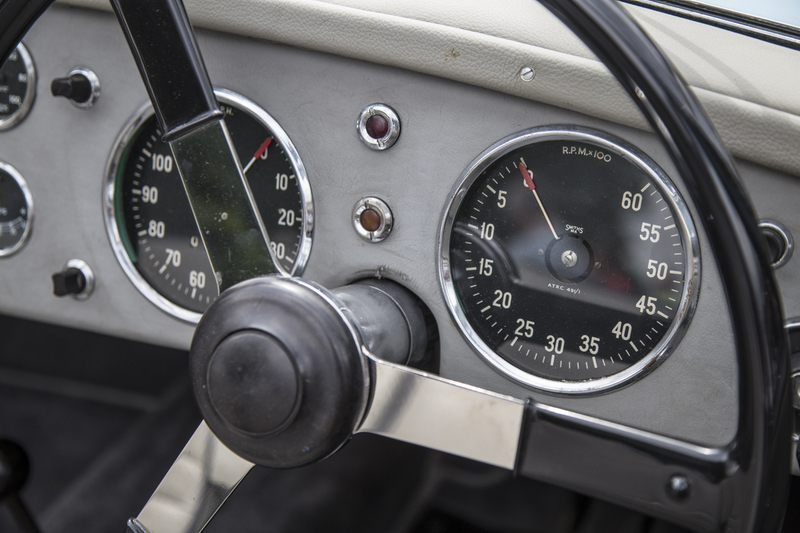 In the central section of the dashboard were four measurement gauges (Water Temperature, Fuel Level, Battery Amps, and Oil Pressure) positioned around a centralised Clock. The gauges were simple and stylish, perfectly suited to the appearance of the DB1. The Aston Martin DB1 started a new era in the company and the history of British motoring that remains alive today with the DB11. I have an original brochure for the Aston Martin 2 litre sport's latterly known ad DB, engine by Claude Hill.